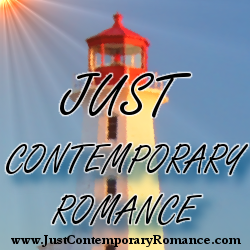 There seems to be something in the water in Romancelandia. In the past few months, there have been a lot of babies—not the authors—just the heroines. Some of them are like the romances of old that revolved around an accidental pregnancy that just happened to end in a love match. And some of these expectant moms believe they’ll never meet the right guy to go the distance, but they want the baby anyway. All of these heroines, despite their best efforts, end up falling in the love with the father of their baby. I have a theory: romance babies are popular because it takes an intense time, full of conflict, and throws in an additional monkey wrench—love. When writing Carla’s story, I knew I had to give the youngest of the Hernandez siblings, a really compelling hero after her fiancé had dumped her unceremoniously at the end of Dusk Until Dawn. Jonah came to me when I was trying to think of someone who was the polar opposite of Carla’s ex-fiance, Geoff. And, since Geoff was a schlubby accountant, I naturally thought of a Jason Momoa-type pouty man bear who Carla couldn’t push around. And, I wanted him to be able to give Carla something that she wanted, but wouldn’t think that she would be able to have now that she was single. And he did—he gave her a baby. Jonah has his own apprehensions about having a family of his own. But after meeting Carla and spending the night with her, those fears become much less important than his baby and his baby’s unexpectedly charming mother. And, even though Carla suffered a great deal the disappointment of a broken engagement, she’s excited to become a mother. Jonah just has to convince her that keeping him around isn’t just practical, it’s the best decision she’ll ever make.